There is little to distinguish the pirate from the average sailor in the archaeological record. Virtually every pirate-related site yet excavated would not be identified as such without the accompanying historical record. The contributors to this volume combine both material culture and archival research to confirm the exploits of pirates and the ships they sailed. 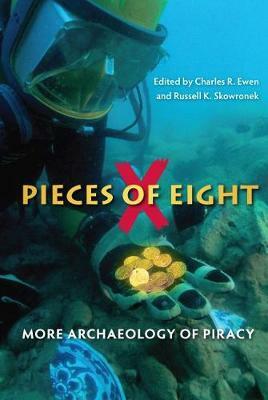 Expanding on the widely successful X Marks the Spot, Pieces of Eight explores the newest findings in the maritime archaeology of piracy. They examine the latest discoveries at Captain Henry Morgan's encampments and recount William Kidd's epic capture of the Quedagh Merchant in the Indian Ocean. Other chapters include explorations of Blackbeard's Queen Anne's Revenge, Bartholomew "Black Bart" Robert's Ranger, and even Hollywood's portrayal of pirates. Pieces of Eight is a thrilling and eye-opening view of pirate life - as well as the final underwater resting places of their ships.